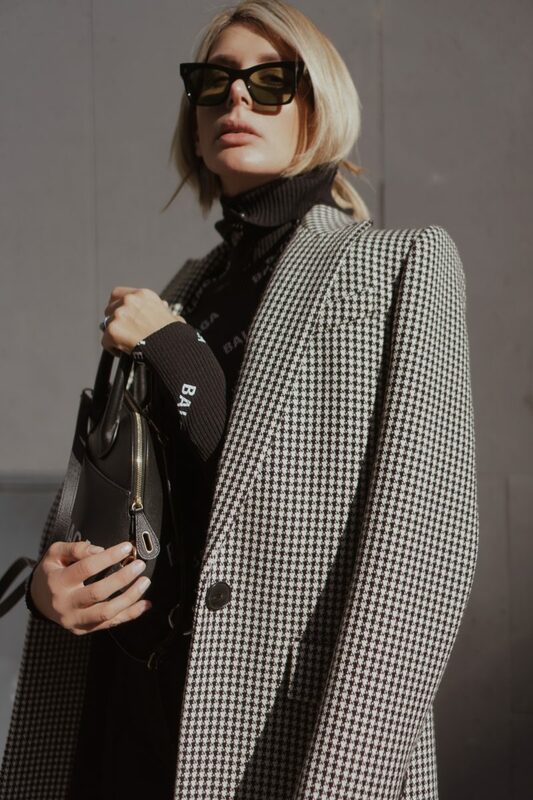 90’s are back and they brought back logo prints – Today I’m going to show you a Logomania look and feel almost a bit like a Balenciaga billboard. 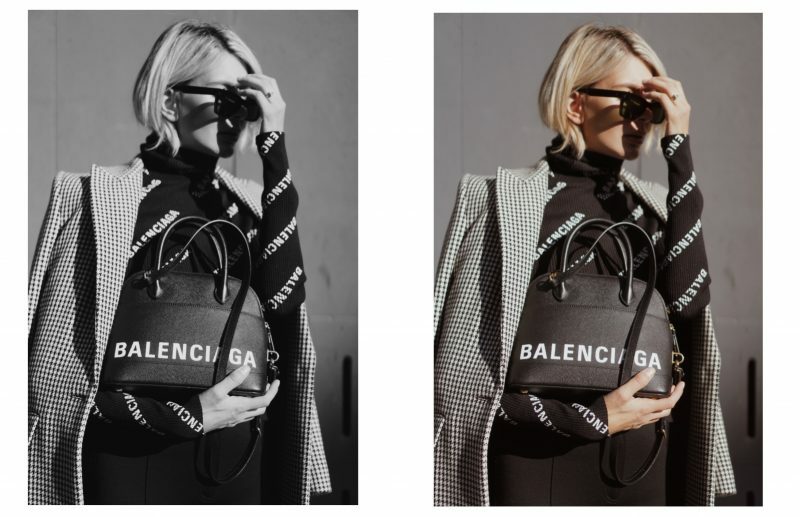 Last summer, the logo trend peaked when the streets were suddenly full of Gucci shirts – this year Balenciaga, Fendi & Co. are moving in to deliver some statement pieces. Although the Logomania trend is basically pure maximalism, I wear it quite clean and minimalistic – therefore my outfit consists of just two colors. Basically, I wear two very different brands. While Céline (at least under Phoebe Philo) stands for minimalistic and timeless designs, Balenciaga likes to be a bit more. In this case, the clean cut of the Céline trousers somehow neutralize the Balenciaga overdose. The coat is understated and eye-catching at the same time and in addition to Céline shoes and sunnies the perfect complement to the look.